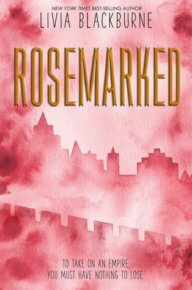 Home / Book Beat • Book Reviews • The Lovely Erica / Book Beat quick takes on Rosemarked, This Mortal Coil and more! 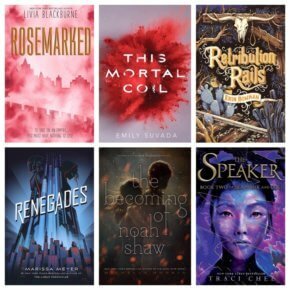 Book Beat quick takes on Rosemarked, This Mortal Coil and more! This is a rare edition of Book Beat — every book has the same release date and, more importantly, every book is a winner! Usually there are a few books that weren’t right for me, but I really enjoyed each of these books. Yeah! Since your wallet is going to feel the big hurt on November 7th, pre-order now and get some bonus goodies to ease the pain! There’s still time to purchase an earn various gifts including signed bookplates, exclusive short stories, buttons and more. Click on the link for each book for specifics and purchasing links. Story: “A healer who cannot be healed . . .
Quick take: A complex world and a story with interesting twists to create a very original spy story/romance. One of my favorite this year! Definitely looking forward to reading the next book in the series. Author Livia Blackburn is hosting a giveaway for a signed book and some other goodies so click here to enter! If you don’t want to press your luck, pre-order a copy and send a copy of proof of purchase for some thank you goodies. Story: “Catarina Agatta is a hacker. She can cripple mainframes and crash through firewalls, but that’s not what makes her special. In Cat’s world, people are implanted with technology to recode their DNA, allowing them to change their bodies in any way they want. And Cat happens to be a gene-hacking genius. 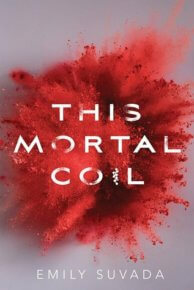 Quick take: Prepare for tons of action, twists and turns in this futuristic dystopian. There’s a lot of fascinating thought into the science that powers this distinctive world, but it’s not so convoluted that you can’t follow it. The characters and the story are also strong and the ending also keeps twisting with new surprises for a great start to a new series. Author Emily Suvada is also offering some thank you goodies for pre-orders which you can read about here. Quick take: Great characters, a brisk pace with a fully developed setting, Retribution Rails is a riveting adventure. 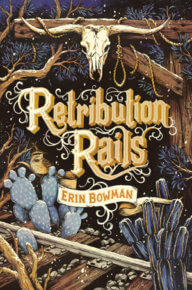 This is a Western and I wouldn’t normally say I love Westerns, but this book feels fresh and modern with feisty women and men who can feel emotions. While you don’t need to read Vengeance Road to enjoy Retribution Rails, there are spoilers since some characters play a significant role. If you reckon on pre-ordering, send your proof in! Pitch: Superheroes and supervillains, but which is which? Story: “Secret Identities. Extraordinary Powers. She wants vengeance. He wants justice. 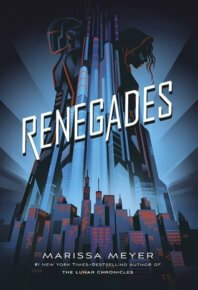 Quick take: I was disappointed in Heartless, but Renegades is a promising launch to a new series with a fun new world, interesting dynamics for a double agent and imaginative super powers. The story takes a bit of set up before it gets going and then we get to the good stuff with lots of layers, subplots and hints of what’s to come in this new series. Like shiny buttons? Readers who pre-order get a set of buttons representing one of the factions in Renegades. Story: “In the first book of The Shaw Confessions, the companion series to the New York Times bestselling Mara Dyer novels, old skeletons are laid bare and new promises prove deadly. This is what happens after happily ever after. 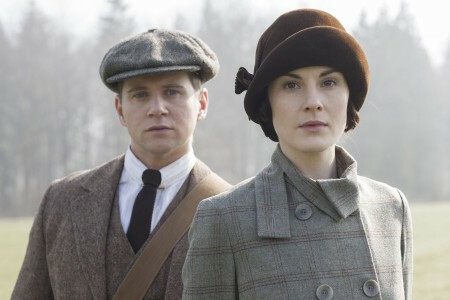 Quick take: We return to these characters and this crazy conspiracy world in a new vein since it’s from Noah’s smart, wry, rebellious mindset. If you enjoyed the first series, then you will be prepared for a dark and violent book. If not, the author’s caveat emptor surely warns readers. This isn’t quite as psychologically freaky as the first books, but there are plenty of mind games and lots of conspiracy to dig through. Click here for (you guessed it! ), pre-order swag! Story: “Having barely escaped the clutches of the Guard, Sefia and Archer are back on the run, slipping into the safety of the forest to tend to their wounds and plan their next move. Haunted by painful memories, Archer struggles to overcome the trauma of his past with the impressors, whose cruelty plagues him whenever he closes his eyes. But when Sefia and Archer happen upon a crew of impressors in the wilderness, Archer finally finds a way to combat his nightmares: by hunting impressors and freeing the boys they hold captive. 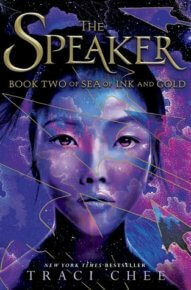 Quick take: The Sea of Ink and Gold series takes its time so read this if you want a fantasy with a more luxurious pace. The Speaker seamlessly continues Sefia and Archer’s story with some additional characters and we get deeper into The Guard. The story wanders a bit, but then sharpens up as we head into the next book in the series. There are some nice pre-order gifts if you purchase from specifics indie bookstores. Details are here! 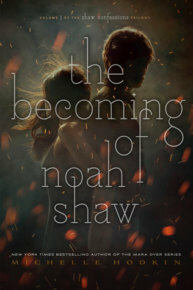 Thanks to Disney (Rosemarked), Simon & Schuster (This Mortal Coil, The Becoming of Noah Shaw), HMH (Retribution Rails), Macmillan (Renegades) and Penguin (The Speaker) for providing the books for review. Want more details on my impression of these and other books? Check out my ratings and full reviews at Goodreads. The Amazing Spider-Man 2 Tumblr Fan Meet Up! With Andrew Garfield! Jamie Foxx! Marc Webb! And More! Web Slinging Awesomeness!